Sheet music, chords, tabs, and lead sheets! 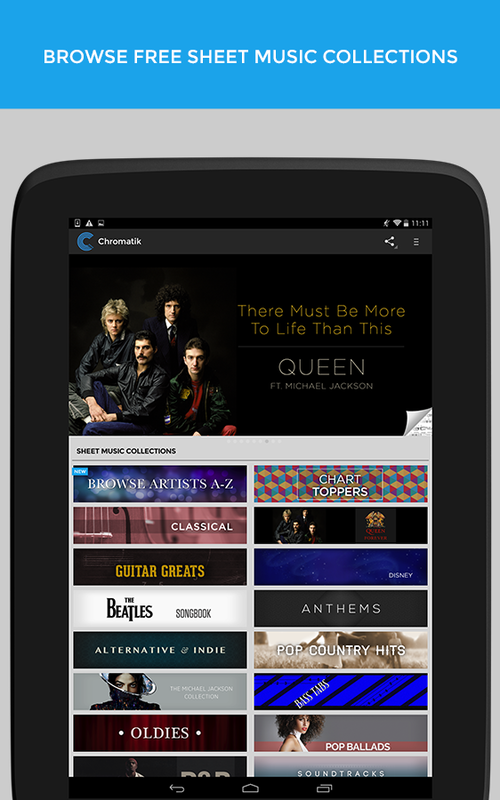 Create a FREE account to play along with our sheet music collection, anytime, anywhere. We’re still growing our catalog, so we don’t have every tune yet. But, we happily take requests, so get in touch! 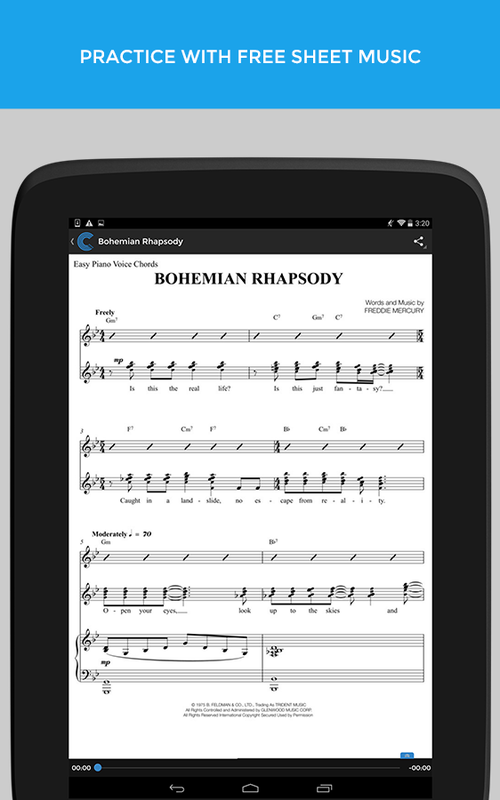 With sheet music for every major instrument and genre, you can play your charts on piano, guitar, saxophone, violin, flute, oboe, trombone, trumpet, tuba, ukulele, bassoon, cello, clarinet, and more. New tunes are added every day, and the sheet music is free to play! 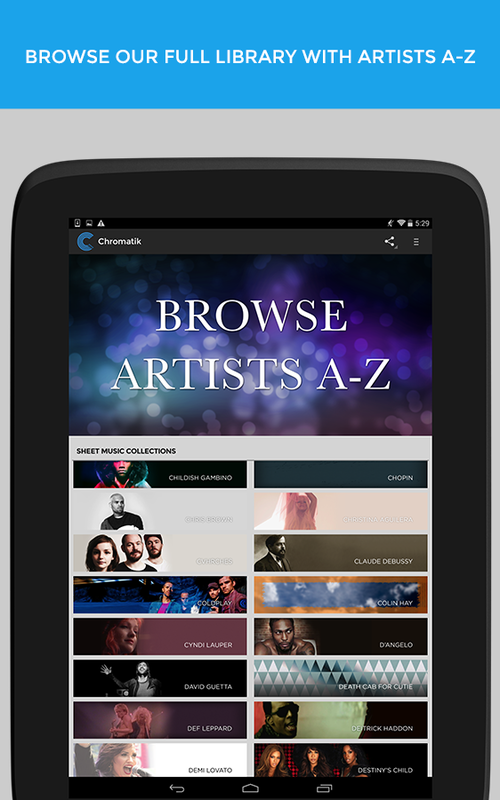 Explore curated sheet music collections based on genre and mood, browse our full library of sheet music in “Artists A-Z,” or search for specific tunes and artists. Recent collection titles include “Chart Toppers,” “Rock Classics,” “Pop Country Hits,” “Hip-Hop,” “Classical,” “Guitar Greats,” “The Chromatik Fake Book,” “Indie,” “Jazz,” and more.